Apartment in restored farmhouse. On 2 floors. beamed ceilings. Main bedroom has 4 metre arched window overlooking garden & farmland. Upstairs has wooden & marble floors. Downstairs has terracotta tiles. 18th Century (working) stone fireplace, very well furnished with classical Italian walnut furniture. Independent entrances. Outside fireplace, pizza oven & above ground pool. 1-acre garden with mature trees. Courtyard parking & barn space for 2 cars. 200m tree lined driveway & electric gate. Very quiet & private location on 400 acre arable farm. Near (1km) to village with bank & shops. Beautiful views of Berici & Euganei hills. Only 17km from historic Vicenza, Venice 70km, Verona 65km, Padova 30km. PLACES TO VISIT: The historic town Vicenza is only 17km from the farm & there is a cycle track to the centre for approximately 9km. The Berici hills are only 2km from the farm, where there are many hiking & biking tracks as well as an area famous for climbing called lumignano. There are also many very good and moderately priced wineries, restaurants and trattorias up in the hills and around the area. There are many very beautiful and historic cities and towns nearby such as Bassano del Grappa, Marostica (where a life size chess game complete with horses is held every 2 years), Asolo, Montegnana, Cittadella, Castelfranco, Este and Monselice. The spa towns of Abano & Montegrotto Terme are only 25km away. FURTHER AFIELD: Venice is 65km which is a one hour drive away, or a one hour train ride from Vicenza. Verona is 65km which is a one hour drive away, Padova 30km which is a half an hour drive away. Lake Garda is 100km way & easily accessible by motorway. Modena and the Ferrari museum is a little over an hours drive away. The Altopiano of Asiago & skiing at 2000m are only 70km away. Florence is a two & a half hour drive away. Advice on plaves to go and things to do: Myself and my wife are always on hand to advise our guests on places to go and things to do. For example there is a great local wine cooperative where you can try and buy some great local and inexpensive wines. There is also an amazing local Parmesan factory and cheese shop as well as a great local olive oil cooperative. The Mulberries is a beautifully restored apartment in a historic old farmhouse surrounded by our farm but also near to the motorway (Valdastico Sud 2 kms) and so easily accesible to all famous northern Italian localities such as Venice, Verona, Padova, Vicenza, Lake Garda, as well as Bassano, Marostica, Asolo, Ferrara and Mantova. The upstairs bathroom also has a washing machine. The fireplace is always prepared so should you wish to light a fire feel free, otherwise ask me (Phil) and I will happily get the fire going for you. The fireplace is a closed glass fronted unit and is always ready to use. Feel free to ask and I will light it for you. The living room has an L shaped sofa that seats 5 comfortably. The apartment has a full kitchen with cooker, hob, microwave, dishwasher and all kitchen utensils. There are a selection of books and travel guides. There is a cupboard full of board games and playing cards. There is a pool table and table football at our other property on the farm which our guests are welcome to use. There are 2 acres of garden with mature trees all around the house as well as a vegetable garden and fruit trees. We have a selection of bikes and kids seats, ask and we will find the right bikes for you. There is a 100 square metre, 8 metre high barn area which looks out over the garden and farm. The glass doors can be closed for colder evenings. The farm is only 75 kms from Asiago and skiing. There is a beautiful Golf Course called Frassanelle only 15 kms from the farm. There is a 10x5 metre above ground pool in the south facing garden for our guests to use. There is also an in ground pool on the farm (at our other property) which our guests are welcome to use. There is a safe deposit box in the apartment . Wireless broadband is available in the apartment and we can lend you a laptop computer if needed. Upon request guests can use a telephone. There are extensive tracks which start from the house & lead around the farm which are excellent for walking or cycling. The main track (6 kilometres, 4 miles) around the farm passes arable crops disused farm houses, woodland, a small lake, vineyards, a river & an 17th Century Italian Villa. The farm land around the house is completely organic. There is an above ground pool at the house for our guests and we also have a 13.5x6 metre in ground pool on the farm (at our other property 68001) which our guests are welcome to use. Good place to have - time out. We enjoyed our time in Longare and felt looked after by the very helpful hosts Phil and Sylvie. 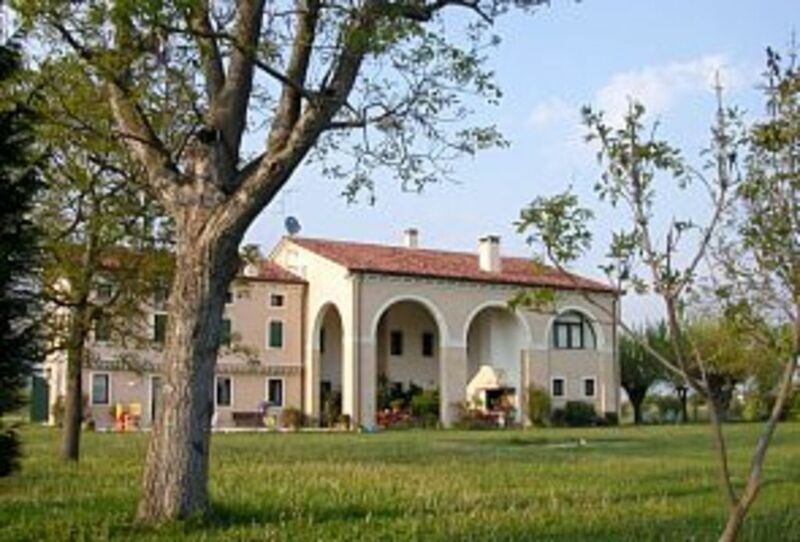 The house is spacious, comfortable and decorated in traditional Italian style. Our kids enjoyed the pool and garden very much. The location is very quiet and away from it all. On the other hand it is easy to get to Venice, Lake Garda, Vicenza or Verona e.g. for great daytrips. Unrelated to the house, but relevant when staying there, are the Mosquitos at this time of year. This accomodation is very well maintained and was restored several years ago. Beautifully clean and well equipped. The area is great for cycling and walking and also great for accessing major towns and cities such as Venice, Verona, Milan, Padua, the Lakes and the Alps. The swimming pool provided a welcome chance to cool down in the evenings. The owners Phil and Sylvi, who live behind the apaartment, were extremely helpful and welcoming, providing useful tips. The fresh eggs and access to local wines and to the bicycles was much appreciated. We would very much recommend staying here if you need a base in Northern Italy. The Mulberries was ideal for us - a family of five with three teenagers. Phil and Silvy made us feel very welcome and offered plenty of great advice to help us make the most of our time. It's such a peaceful location but within easy reach of Vicenza, Padua, Verona and Venice - I'm not sure we even scratched the surface of what the region has to offer. Perhaps a return trip in the future? The local hills were great to explore and find some hidden gems. They also provided a great place to get out on my bike - and a warm up for the big climb up Monte Grappa. The cycle paths are amazing - wish we had that sort of facility in the UK. I think it's safe to say that we'd thoroughly recommend the Mulberries. We were 5 adults and The Mulberries was an excellent place for us. The location is brilliant for city trips to Verona/Venice etc but also to quiet unspoilt villages in the hills. Phil and Silvy are wonderful hosts, there if need them but giving you privacy too! Sylvy's brother's wine a real find. I cannot recommend this place too highly. The latest cat addition was really sweet. We are always happy to know that our guests have enjoyed their time here on the farm and we are always here to help make their time enjoyable. The house was exactly as described and had all the facilities we required. The location is quiet and peaceful and the grounds have plenty of sunny and shaded areas. The house is a short drive from all the sights in Vicenza, Padua, Venice and Verona. Lake Garda, the Dolomites and the PO delta are less than two hours drive. The local produce, wine, cheese etc, are fantastic. Phil and Silvy are great hosts always making sure we had what we needed but always giving us our privacy. This is a great location for a holiday, the only danger is trying to do too much! Longare which is about 4km from the house is a quiet village at the foot of the Berici Hills (400 meters high) and is 13km from Vicenza city centre. The local area is perfect for hiking, mountain biking & rock climbing as well as for enjoying the local cuisine & wine tasting. The area is very quiet and rural but at the same time very central for visiting all the important touristic and cultural centres such as Venice, Verona, Padova, Lake Garda and the Dolomites.